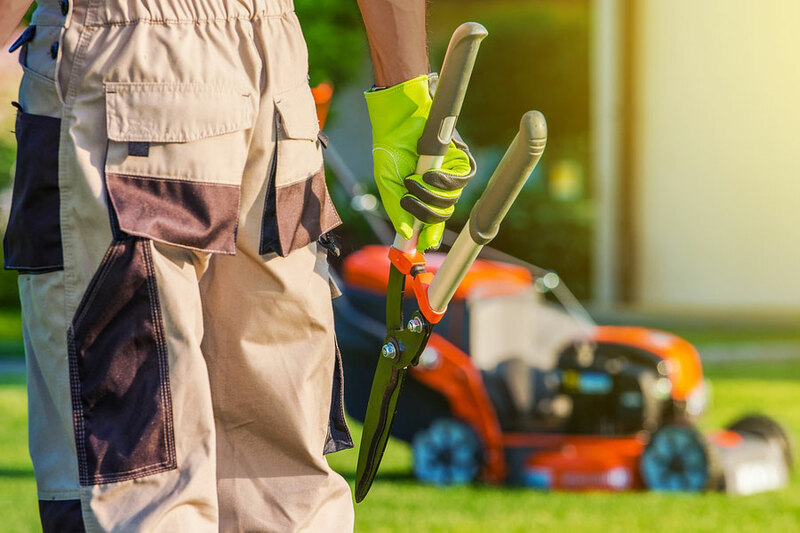 So you’re new to your landscaping job or you’re thinking of getting into it, but you have no idea what to expect? No worries. Let us fill in the blanks for you. You roll into work, walk into the office and clock in. You make a little small talk with the team. You grab some coffee and take a look at the job board. Looks like you’re heading out into the county for a spring cleanup. You’re not sure what to expect, but that’s okay. One of your most experienced teammates will be right by your side. It’s a beautiful morning. This is gonna be a great day. You and your partner are off to your morning job. He talks you through a spring cleanup, so that by the time you get there, you know exactly what to do. The homeowner wants to sell the property and needs your help giving the place curb appeal. Your partner gets to work on pruning the trees while you tackle the weeds. When you’re done with that, you’ll trim the hedges. It’s about time for a short break. It’s starting to warm up. Hopefully, you’ve been drinking plenty of water. Take a few gulps now. Relax in the shade for a few minutes, then get back to it. It’s time to climb into the riding mower. Lunch time. You can’t wait to chomp down on that sandwich you packed. You and your partner head back to the truck to celebrate, because the morning job is done. You take a long look at your work as you eat. Picture perfect. Then, you move on to your afternoon job. This property is in the city, but the yard is still pretty big. The two-story house is surrounded by flower beds that have just started sprouting colorful perennials. You and your partner get to work weeding and mulching. Take a breather. The first day can be tough, especially in this heat. Don’t worry. You’ll get used to it. The day is done. The beds are weeded and mulched. Your partner mowed the yard. You worked the string trimmer and got the edges just right. Another job to be proud of. Go home and recharge. You’ve done great work today. When we hear how much the customer loves what you’ve done, we’ll be sure to let you know. Whoops. Did we say, “we”? The cat’s out of the bag, now. We’re not describing just any day working just any landscaping job. Clean Cut Lawn & Landscape is hiring! This is what it’s like to work with a team a professionals in central Indiana who do great work and take pride in it. Every day. Come work for us. Just click the button below to get started. I want to work for Clean Cut!